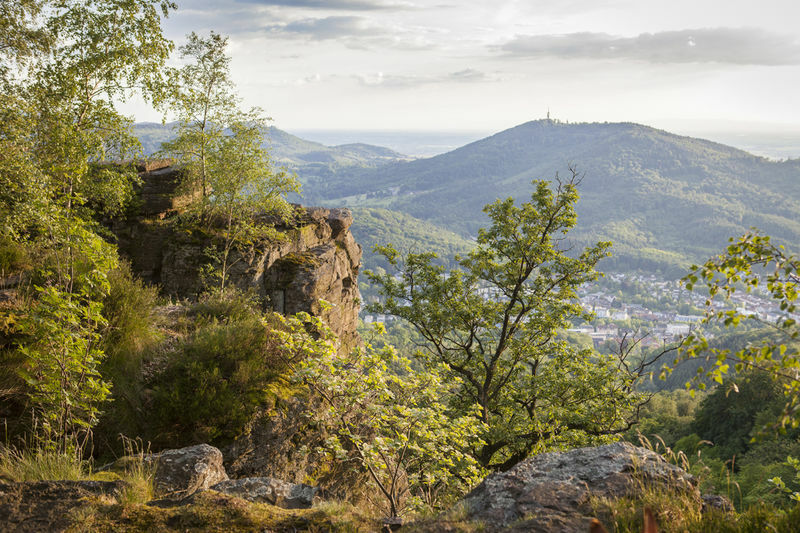 Welcome to Baden-Baden’s municipal recreational forest and to the North/Central Black Forest area of outstanding beauty (“Naturpark Schwarzwald Mitte/Nord”). 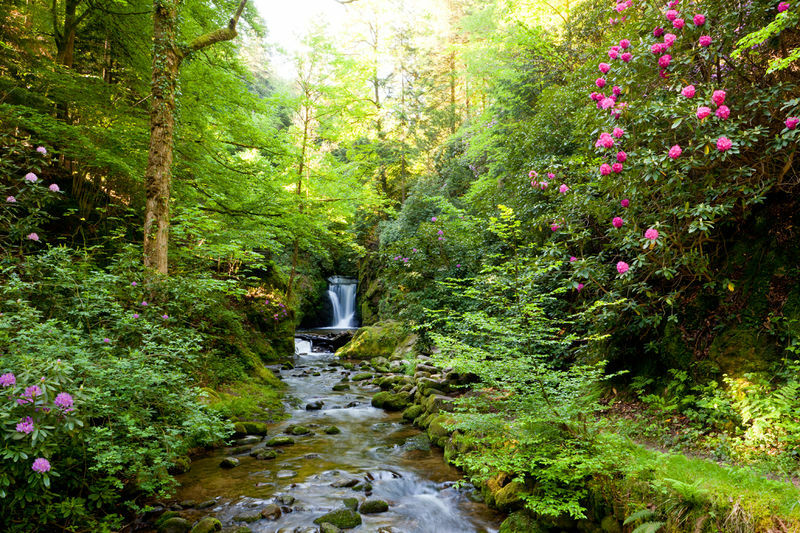 The Geroldsauer Wasserfall (Geroldsau waterfall) trailhead offers walks taking in a huge variety of landscapes. For starters there’s the gorge-like Grobbachtal valley with its fast-flowing streams, cliffs and rocks. 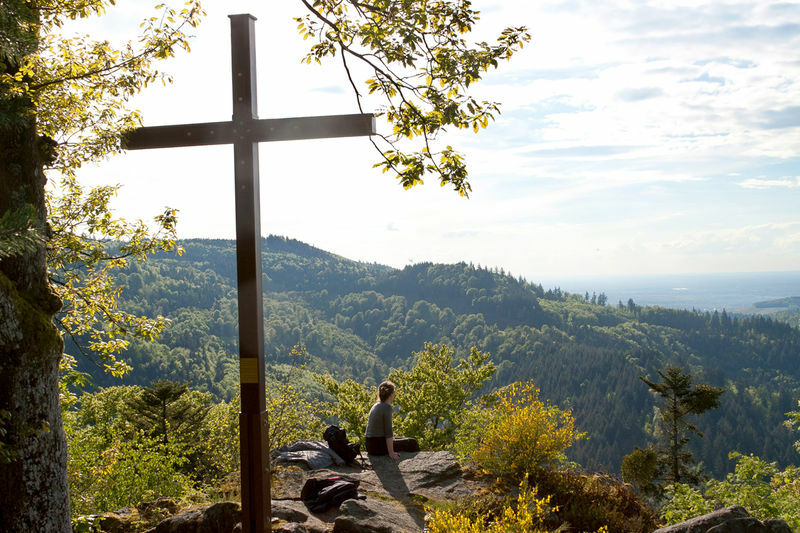 The Kreuzfelsen-Rundweg, a circular route through this picture-book Black Forest landscape is without doubt one of the nicest walks in Baden-Baden’s municipal forest. The route starts off along the Grobbach and Littersbach streams, then climbs to the Kreuzfelsen outcrop. The path descends through ancient beech forest to Grobbach again, following the course of the stream through grazing meadows. The landscape gets steadily more dramatic until the Grobbach tumbles over a heavily petrified granite sill – this is the Geroldsau waterfall. The gentle walk around Geroldsau itself offers a completely different picture. The panoramic route takes you around the Geroldsau valley on a path that runs along the tree line halfway up the valley sides. From several spots you have lovely views of Geroldsau, nestling among the meadow orchards. The waterfall circular route, Wasserfall-Rundweg, to Geroldsau waterfall: 3 km, total ascent 70 m. An easy walk on level paths, with a few stony sections. There is a restaurant at Bütthof, above the waterfall. Kreuzfelsen-Rundweg, circular route: 11 km, total ascent 330 m: first to Littersbach (stream), then ascend to Kreuzfelsen (rock outcrop), via Neubrücke (bridge) to Bütthof (restaurant) and back to car park. On the Panoramaweg, the panoramic route, around Geroldsau valley: 11 km, total ascent 220 m: car park – Malschbach (stream) – Ibach (stream) – Geroldsauer Mühle (shops and restaurant) – Übelsbachtal (valley) – Schatzbühl – Grobbach Brücke (bridge) – car park. From the Geroldsauer Wasserfall trailhead you can walk along the southern side of the Geroldsau valley and the picturesque southern edge of the meadow orchards of Oberbeuern to the Forellenhof hotel and restaurant and the bus stop. Heading north via Geroldsauer Mühle (restaurant and shops) you get to Louisenfelsen (rock outcrop), Batschari-Hütte (shelter) and Korbmattfelsen (rock outcrop), all fine viewing points. The “Tiergarten” bus stop will be reached on this route.